A short article on R1 companies (Viz and Geneon) experimenting with various methods of digital content distribution. 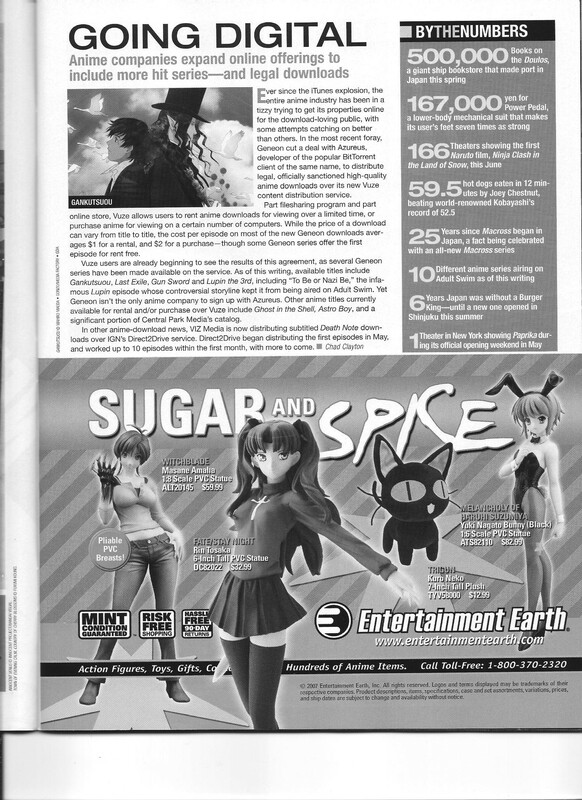 This entry was posted in Old Magazine Articles and tagged Borderline Plagarism for the Freedom of Information, Geneon, Viz Media by torisunanohokori. Bookmark the permalink.